Can Silat or Xing Yi be applied in MMA? MMA is just like any other sport. If you want win at Tennis, you need to spend most of your time studying and practicing Tennis. …but when you walk out onto the court you’re either playing Tennis or you’re going to lose. Xing Yi and Silat were designed for a very different setting. Using the full art in a ring would get you disqualified pretty quick. …but sorting through all the BS that’s out there on these arts and finding a good teacher takes a lot of work and effort. Until top quality examples of these arts are a lot more common I doubt we’ll see them having much influence on MMA. In our Xing Yi training we focus on the Internal Principles and the Fighting Methods first. We find this is a much more effective way to learn Xing Yi than starting with forms and postures. The 5 Elemental Fists are the core of Xing Yi. All other forms (animals, weapons, linking) are just variations & combinations of the 5 Fists. You learn how to overwhelm the opponent with a rapid barrage of continuous Pi Chuan strikes. You learn how to combine the Pi and Tsuan methods and use them together. You learn another aggressive, overwhelming, powerful and continuous fighting method. You also learn some important strategic principles you can apply to all of your Xing Yi. You learn how to fight with the Crossing Fist. You learn to use the primary strategy of Xing Yi. You learn how to destroy a grappling, tackling, takedown type attack with each of the 5 Fists. We will build on the understanding you develop here and add a lot more power and skill with it in the full Xing Yi program. You will learn how to make every contact painful to the opponent. 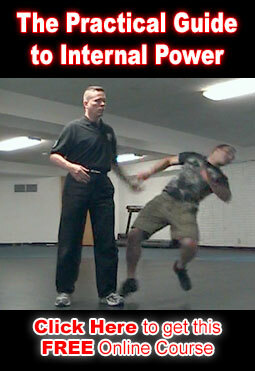 This principle is important in many Kuntao & Silat systems. Xing Yi in particular uses it very well and very often. You learn another way to generate power. You’ll want to drill this to the point where you can combine it with all the power generation methods you’ve learned so far. You learn a two person freestyle game. It uses the principles you learned to build your skill & power. Whew, that’s a lot for an introduction. If you practice all that you’ll build a lot of power and you’ll be able to fight with all 5 Fists. Sure, it’ll be a little rough at first but you can use it AND you’ll have a solid foundation on which to refine your skill and build advanced ones. You will learn how to put away and store the energy you build from your qigong practice. You will also learn to balance the meridians. You learn to breath down to the bottoms of your feet. This is very healthy and it’s also a prerequisite for more advanced breathing methods. You will learn a very powerful energy building, bone strengthening, rejuvenation method. The exercises you learn here is very good for your kidneys. You will learn more about storing Chi and you begin learning about ‘packing’ chi. I’ll talk about the Bagua and Tai Chi sections soon. The ability to Na (hold or control) is important in all martial arts. But it’s application is profoundly different between Internal and External systems. The external version is simple. Just grab the opponent and you’ve done it. You can then use that grab to break something or pull them into a strike or whatever. INTERNALLY this gets a little more interesting. We’re now talking about holding or controlling something INSIDE the other person. A simple example would be to grab someone’s wrist and yet be able to control their shoulder. If the person you grab is tense this will be easy. The more they relax the more skill you’ll need to do this. In the Internal Combat Arts course you’ll learn how to find and ‘na’ someones center. Have you ever heard Xing Yi and Bagua folks talk about touching the opponents spine anytime you make contact? Any time you make contact (anywhere) you make sure that contact effects the opponents spine. The key is to build the ability to feel inside your opponent. You need to be able to put your hand on their wrist and feel the tension in their lower back, or their spine, or their kidney. That’s why we do so many hands on, tactile games. And each of the 4 sections in the Internal Combat Arts course includes various games that will continue to build this skill (and many others). You must KNOW YOUR OPPONENT. …but it you want to practice an INTERNAL art you need to go a little deeper than that. What’s the difference between Internal & External? This is a common question and there are a bunch of confusing and misleading answers online. – Internal = Inside the body. – External = Outside the body. So to help make things clearer lets talk about application of technique. So the External is where you put your hands and feet. 1. Smack their arm to turn them, then punch them in the kidney. 2. As they punch, trap their wrist and drive you fore arm through their elbow to break the arm. So if we want to make these applications Internal then we need to start looking at what’s happening inside the body. We’ll start with inside the opponent. – Is the force going into the kidney you’re striking? – Or maybe you direct it across to damage the kidney on the other side. – Or down into their lower intestine. – Or up into the lung, heart or head. – Instead you could direct the force to their shoulder to dislocate it instead of breaking the elbow. – Or you could target their point of balance and turn into a throw instead of a break. You can also look at what’s happening inside you. – Are you using a heavy body state? – Do you have Chan Si Jing (spiralling energy) turned on? – Are you using compression? – Are you expanding or contracting? – Are you using Peng, Lu, Ji or An? Each one of these body states will change the power of an application and how it affects the opponent. Say I’m doing the second app. I’m using a heavy body state, a little bit of An Jing (push) and I’m trying to break their elbow. They put enough strength and intent in their elbow that there’s no way I could break it. Well, an External Martial Artist will need to change his technique. He’ll need to move his hands and feet into a different position so he can apply a different technique. The Internal Martial Artist only has to change his mind. – and the target becomes his shoulder. With a little training, this change can happen almost as fast as you can think. Much faster than moving your hands and feet. …and if the opponent doesn’t have the sensitivity to pick up the change and the internal skill to counter you fast enough then they don’t have much of chance. And you can keep changing. Again and again in an instant. Or you can strike (issue power) multiple times to multiple targets without changing your position or point of contact. This is ONE of the key differences between internal and external. We’ll talk about a few others over the next couple days. Do you teach the health part of Xing Yi in your Xing Yi program? Our Xing Yi program is about how to fight. You will develop the internal power and fighting methods of Xing Yi. It will make you stronger, more powerful and your body will become more connected, and this does have some health benefit, But it’s a byproduct of the martial training. It’s not something that’s taught in the course. I have a shoulder that’s plagued me for some time. Tai Chi helped a little. So did Qigong and our Fa Kung Healing methods, but nothing could get rid of it. …But the Xing Yi seems to be just what it needed. As long as I practice consistently I have no problems with it. When we filmed most of the Xing Yi program in one weekend, I expected the long days and little sleep to aggravate the problem but instead it went away completely. Still, DONT join our Xing Yi program if you are looking for the health side. That’s not what its about. WARNING: Quick high QUALITY skill is dangerous! …then you’d better deliver… Quickly. Much easier to say 4, 6 or 10 years is just scratching the surface. Because folks start to notice, and they begin to wonder about teachers who say it takes a long time. 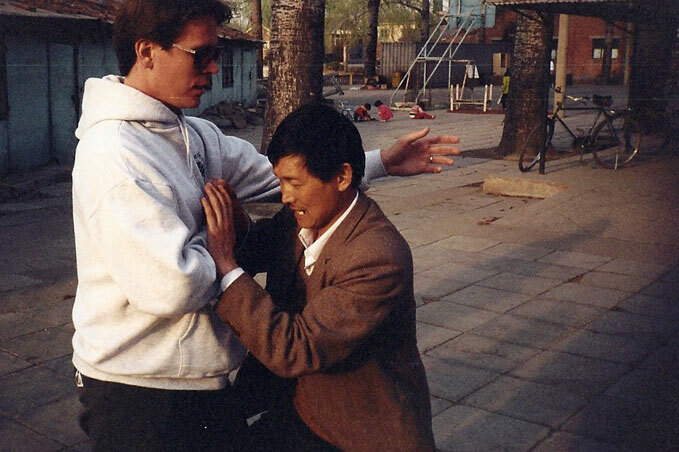 Sigung Clear has been QUIETLY teaching Xing Yi for almost 2 decades. …but now we’re getting noisy. 1. Folks keep asking us about Xing Yi and Bagua. So, now you know our ‘sinister’ plot. All we need you to do is become a living example of what these arts can accomplish. If you want to “get dangerous” with Xing Yi then you’re in luck. Our Xing Yi program is about the get underway. Clear’s Kuntao Xing Yi Quan is a 6 Month Intensive Online Training Program. It’s designed to take a small group of dedicated folks like yourself and help you build powerful effective Xing Yi skill as efficiently as we know how. It contains 21 Chapters of yummy Xing Yi fighting goodness. – You’ll be able to watch them online with a PC, Mac, iPod, iPad, iPhone or Android. This is a lifetime membership. – That means you only pay for it once. There’s NO subscription. NO recurring fees. – Next year when we run this program again you will already be a member. – Even if we raise the price for new members, you’re already in, no additional cost. You get discounts on our annual Xing Yi workshop. – Including members only access to live training sessions in advanced Xing Yi material. Enrollment will begin in a couple few weeks. If you miss the dates, or the program fills up before you get around to registering, then you’ll have to wait until next year. Folks who are part of the 16 week Internal Combat Arts course will get first dibs, with access to early enrollment. Bass Ackwards Xing Yi… Learn FASTER by doing the OPPOSITE of what most teachers teach. If you follow the guidelines in this post you’ll greatly speed up your development as an INTERNAL Martial Artist. Of course, if you use our programs what I’m about suggest will be easy. …But even if you train elsewhere you can focus on this method and greatly speed up your development. Most teachers start with the form. You learn how to stand in San Ti. You start learning each of the 5 Element forms. The teacher spends months (or years) going into maddening detail on every aspect of the postures. ..You are so caught up in all those little nuances you’ll never be able to use it. That’s a terrible way to learn how to fight. This is why many folks who have been doing the art for 2, 5 even 10 years can’t fight. Xing Yi is a military art. That means it has to be quick to learn, powerful and brutal. If you can’t USE IT to survive, it doesn’t matter how pretty your form is. …Your form will be correct. If the function is correct the form will follow. …Start by analyzing its function. If you don’t understand the function, you have no way of knowing if your form is correct. – Your form is wrong. We teach you how to FIGHT with each of the 5 elements and by learning how to fight you learn the form. And you can use it right away! Our Xing Yi program (coming soon) is the same. …You develop those by learning how to FIGHT. How fast can you master Xing Yi Quan? …but how long does it take to master the art? Not just learn how to fight effectively. Well, Li Nang-jan started learning Xing Yi Quan when he was 37. The story goes that he spend the first two and half years learning nothing but Pi Chuan (The first move in Xing Yi) and a small piece of the linking form. Well that’s a bunch of BS. It’s ONLY purpose is to waste your time. Li’s almost 40 years old now and his teacher, Tai Lung-pang, has been holding out on him. Only teaching him a little choreography, nothing of substance. He goes to a birthday party for Tai’s mother and makes such an impression that she scolds her son for not teaching him properly. After that Li Neng-jan starts learning the whole art from Tai Lung-pang. By the time Li was forty-seven he had mastered the art. Li went on to train legendary masters such as Kuo Yun-shen and many others including Liu Ch’i-lan, Pai Hsi-Yuan, Li T’ai-ho, Ch’e I-chai, Chang Shu-te, and Sung Shih-jung. If you’re 40 you can master the art before you turn 50. A) A Master of the System. B) The Xing Yi they have learned is not the most effective way to learn the system. B is unfortunately all too common. …as long as you are aware of that fact and working to find better information and more efficient training methods. Xing Yi is deep and profound. You can keep learning and improving your skill with it for a lifetime. But that is no excuse for putting up with time wasting exercises, info or teachers. Our Xing Yi program in the fall won’t make you a master of every nuance of Xing Yi. – You WON’T spend time learning a lot of forms. – You WON’T spend time learn a lot of traditional Chinese 5 element theory. – You WON’T spend a lot of time standing around in various postures. What you WILL do is learn how to fight with Xing Yi. You’ll get straight to the heart of the art. No-nonsense, powerful and efficient. That’s what our program is about. You’ll learn why and how. I’ll have the Xing Yi program ready for you around the end of October. You’ll learn simple and powerful methods you can really use in a fight. Join the Internal Combat Arts Course when you’re ready to stop wasting time and get straight to the point. Bend like a piece of bamboo. You give way only a little while at the same time loading a powerful spring that adds a lot of power. …but the body is not soft. To someone striking you it feels hard like a piece of bamboo. It’s very easy to injure your partner while training this method. We had to spend one extra day filming (last friday) to finish up the Xing Yi program. The Bamboo Art is just one of the internal principles we got to work on in depth. Now that filming is done I’ve started going through all the footage to get everything ready for you. The course will start in October or November. I’ll have more details for you next month. Until then the Internal Iron Body video will give you a head start on your internal development. It’s more on the Qigong / Neigong side of things. It doesn’t emphasis the combative aspects like our Xing Yi program does. However the energy and body state you build will enhance everything we’re doing the in Xing Yi program. And it’ll put you a step ahead of the folks who haven’t trained it. When you take out time for lunch we spend just under 30 hrs working on Xing Yi. 11 of those hours ended up film. Just how to fight with the 5 Elements. Both the external movement and usage and the internal principles that make Xing Yi such a devastating fighting method. We didn’t quite finish though. We’ve got to get in one more day of filming and then I’ll start getting this footage ready for you guys. It’ll be ready in Oct or Nov.
P.S. Willem (Uncle Bill) Dethouars will be in Maryville TN on Aug 11 & 12. Email me for workshop details. Which internal art do I start with? It’s powerful, aggressive and it will get you up to fighting speed quickly. Xing Yi is the steel ball. It fortifies the center. You can see it. You might be able to hit it, But it IS GOING to run you over. Bagua adds a lot more complexity to the movement. It will refine your understanding of position as you train for multiple attackers. Bagua is the barbed wire ball. It moves the center. You can try to hit it but you’ll just get tangled up and hurt. Next move to Tai Chi. In Tai Chi your physical movement will become a lot smaller and more refined as you take your internal skill to another level. Tai Chi is the energy ball. The ghost. It dissolves the center. You can’t find it, you can’t hit it and when you try it pwnes you. P.S. If health is your top priority start with Tai Chi. 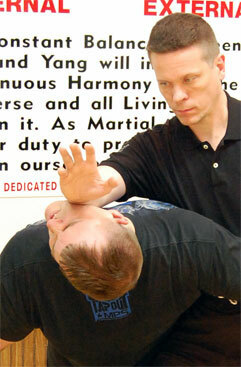 If self defense is your primary motivation try out Kun Tao Silat program. Why is Xing Yi so deadly? That’s the old saying anyway. …Or at least they’re supposed to. Unfortunately that’s not usually the case. In today’s world it’s tough to find Xing Yi at all much less find someone who will really teach you how to use it. ..Without lots of forms and standing practice. We’d like to see that change. We’d like more people to have access to quality Xing Yi training. So, Sigung Clear has designed this program to help us achieve these goals. That is the question this program will answer. This program is fast, powerful and efficient. This program contains just the good stuff. ..With all the power, explosiveness and effectiveness that Xing Yi is famous for. Our goal is to train folks who want to teach. Folks who will become instructors in the art and who will go out and teach it to others. With your help, we can make sure this art grows and flourishes in the coming years. On July 20, 21 & 22 we are holding a workshop where we will film this program. So not only will you be able to train live with Sigung Clear, you will be able to take that training home with you and review it over and over. Just a little reminder today. Our Hsing-I Chuan workshop is only 6 weeks away. Make sure you’re working on the prep materials and ask me any questions you have so we can have everybody on the same page when you get here. If you haven’t signed up yet the deadline is drawing closer. Get your travel planes made and let us know you’re coming so we can give you the material to work on before the workshop. If you’re into Hsing-I (Xing Yi) or you just want more power. This is the workshop to be at. It’s an intensive immersion experience that will build a lot of power and make sure you can move with it. Our goal is to cover the entire curriculum during this weekend so you have a complete package to take home with you and train. Me and a few of the other Hsing-I students started getting together in the mornings for a few hours to train and get ready for this event. I’m sore and tired but I’m already seeing faster improvements. Tastes bitter but it’s fun! I recomend you up your training in the coming weeks and make sure to get plenty of sleep in the days leading up to this workshop. P.S. We are considering offering a morning Hsing-I warm up/ workout each day of the workshop. That was the title of a seminar I went to a little while ago. It sounded good. I thought I might learn something about how to add more power to my Xing Yi or at least how to use some of what I already knew more effectively. It was only a 2hr seminar so I didn’t expect a lot. but worst case I’d get to do Xing Yi for 2 hrs. Instead we played follow the leader for 2 hrs as the teacher did his version of the 5 fists. Not a word about power. No explanation on why he likes that particular flavor of the 5 fists. Just a bunch of choreography packed into a short period of time so even if that’s all you wanted you wouldn’t be able to learn it. This kind of thing is all too common. It’s a big part of why the Internal Martial arts have little or no respect among the greater martial arts population. Our Xing Yi workshop in July will be different. You’ll learn many different flavors of the 5 fists (include animals) and WHY they are important. You’ll learn how they add power or change how a fist is used. Don’t get me wrong you will learn the 5 fists but you WON’T be trying to follow along and memorize choreography. Instead you’ll learn how to USE Xing Yi. You’ll learn the method behind the madness. You’ll learn the different ways that Xing Yi generates the internal power it’s famous for and you’ll learn how to use them. Oh, and instead of standing for hours each day, we’ll show you ‘inner door’ methods for building the internal alignments, energy and power of Xing Yi that are much faster than standing practice. They’re not shortcuts because they still ‘taste bitter.’ you still have to do the hard work it takes to build internal kung fu but you get a lot more reward for the effort you put in. We’ve been asked several questions about our Xing Yi program. Because it’s efficient, explosive, effective, powerful. Because it builds internal power quickly and is quick to learn. 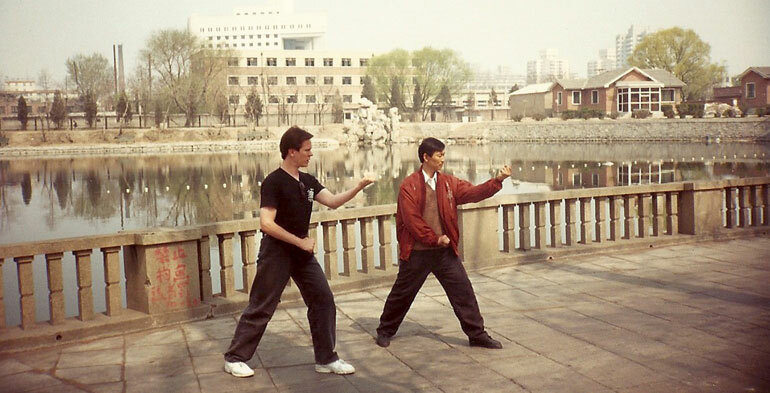 Sigung Clear began learning Xing Yi (and I Chuan) in the early 80’s. Since then he has pursued it in depth because of its street effectiveness and internal power. He began teaching it in the mid 90’s. Over the last couple years, more and more people have been asking about our Xing Yi training. So he felt it was time to put together a straight Xing Yi program for Xing Yi players and enthusiasts who want to get to the essence of the system and build skill as quickly and efficiently as possible. What is Kun Tao Xing Yi? Kun Tao are Kung Fu systems that have been refined & streamlined by their exposure to the fighting systems of South East Asia. So Kun Tao Xing Yi is a Xing Yi system that has been streamlined to build skill as efficiently as possible. Sigung Clear has studied Xing Yi with Kun Tao Silat masters from the islands as well as traditional Xing Yi masters in mainland China. …And it will take experienced Xing Yi players and help them understand the purpose behind the form. It will give them the tools to build the skill they’ve seen from other Xing Yi Masters. Clear’s Xing Yi will be accepting new students in the fall. Here’s a teaser for those of you who have been asking to learn SiGung Clear’s Xing Yi. This program will open up again in the fall. Here’s a short video of two students trying out their Xing Yi in a Karate tournament.